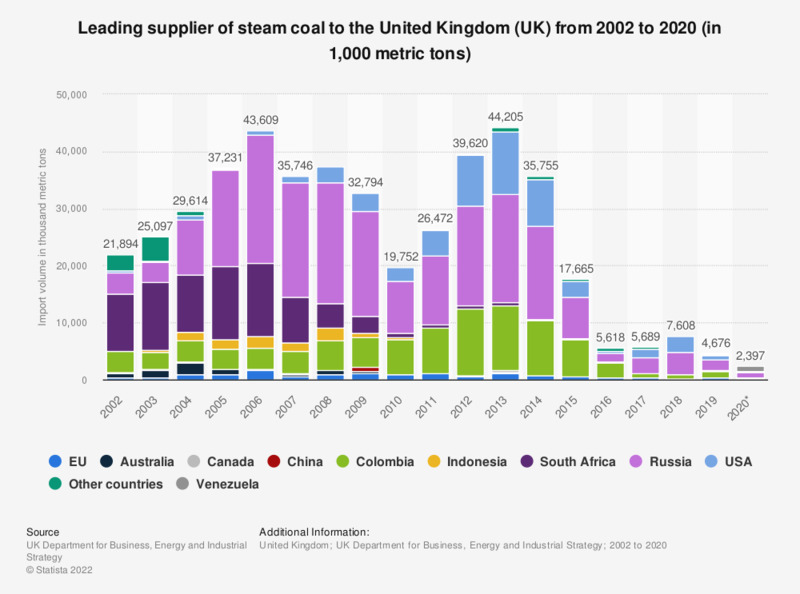 This statistic shows the main source countries of steam coal imports to the United Kingdom between 2002 and 2017. Russia became the largest partner for the UK's steam coal in 2005, peaking at 22.5 million metric tons of steam coal imported in 2006. At the same time, the volume of steam coal imported from South Africa decreased. Everything On "Coal industry in the United Kingdom" in One Document: Edited and Divided into Handy Chapters. Including Detailed References.